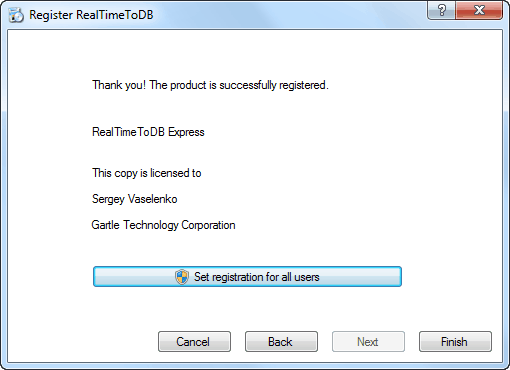 RealTimeToDB has several editions. See Edition comparison. 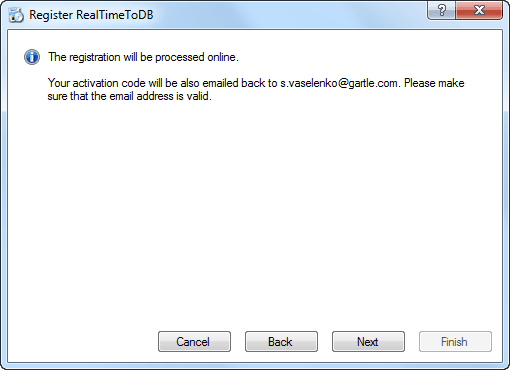 The registration process is required to register the desired edition. To start the registration process, click Help, Register Product. 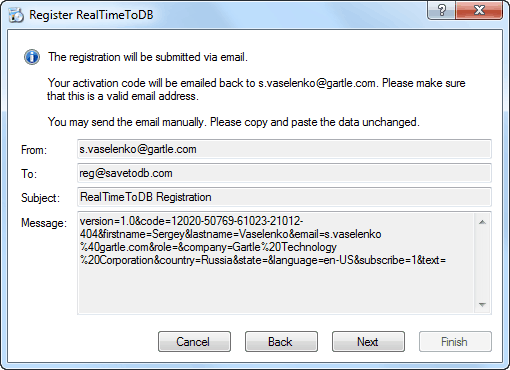 A product code is required to register the Personal, Standard, or Enterprise edition. 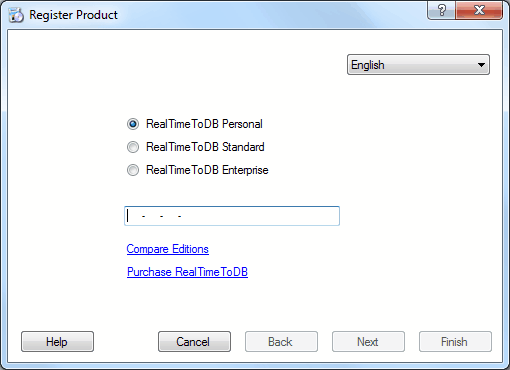 Select an edition and fill in the product code for the Personal, Standard, or Enterprise edition. 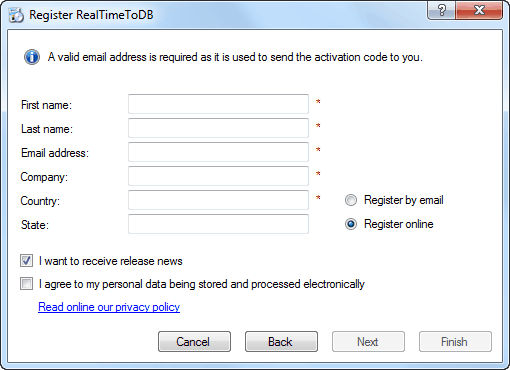 After clicking the Next button, the RealTimeToDB connects to the registration server. 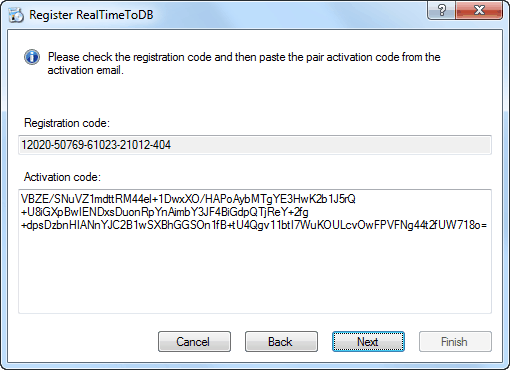 The RealTimeToDB checks the registration data and confirms the registration.